sweets Archives - What the Forks for Dinner? 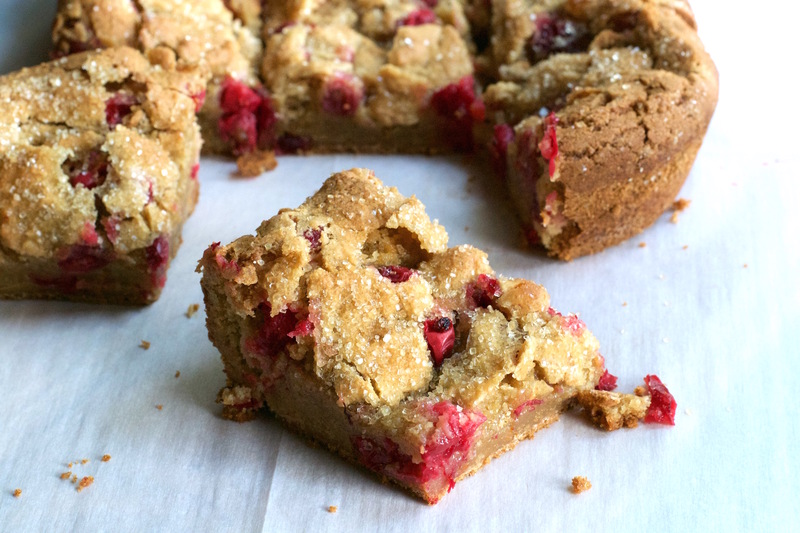 Cranberries and orange…….a match made in heaven…….or in Cranberry Orange Brownies! Tart ruby red and delicious cranberries, harvested from bogs when cold weather arrives and available throughout the winter months. Fresh cranberries are a signature fresh fruit of autumn and early winter. The combination of tart cranberries sweetened with oranges, another fruit of winter, is a classic flavor pairing in baking. 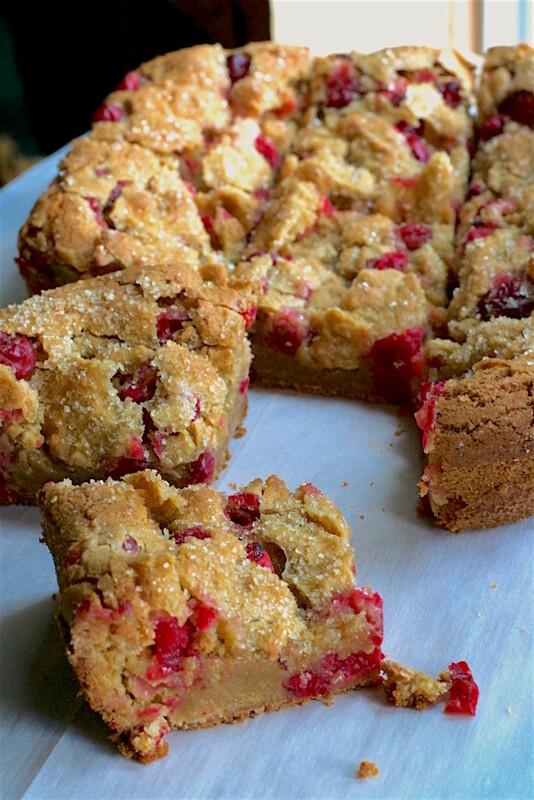 Blond brownies are a tasty treat in their own right, but add the tart of the cranberry and sweet bright citrus of the orange, and you have a fall dessert treat that is sure to please. A basic brownie batter…butter, sugar, eggs, flour, vanilla, a bit of orange flavoring, those beautiful berries, and orange zest. Sprinkled with a bit of my favorite turbaned sugar that gives a nice sugary crunch to the top. Baked to a perfect golden brown. 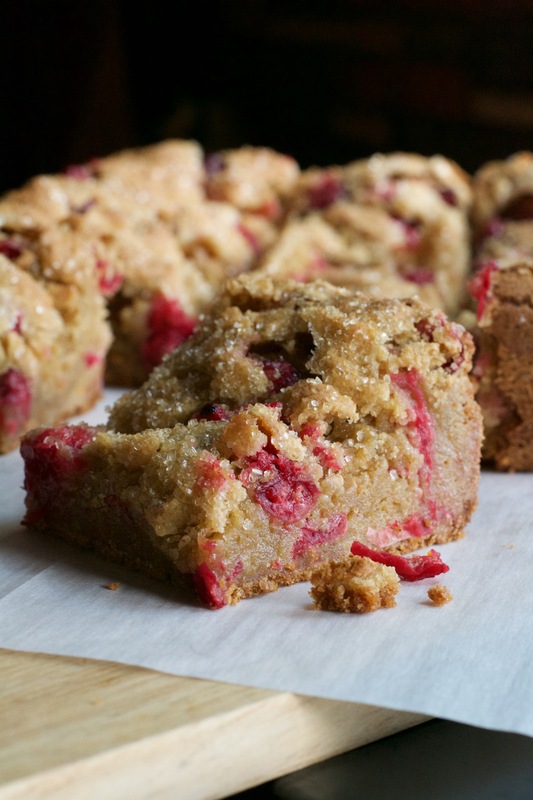 Cranberry Orange Bownies are gooey, chewy, tart and sweet. The perfect fall dessert! Beat the butter and brown sugar until creamy. Add the eggs and vanilla, and orange flavoring and beat again. Sift together the salt, baking powder, and flour. Slowly beat into the butter mixture. Stir in 1 1/2 cups of the cranberries, and orange zest by hand. Spread the batter in a greased 9×13 baking dish. 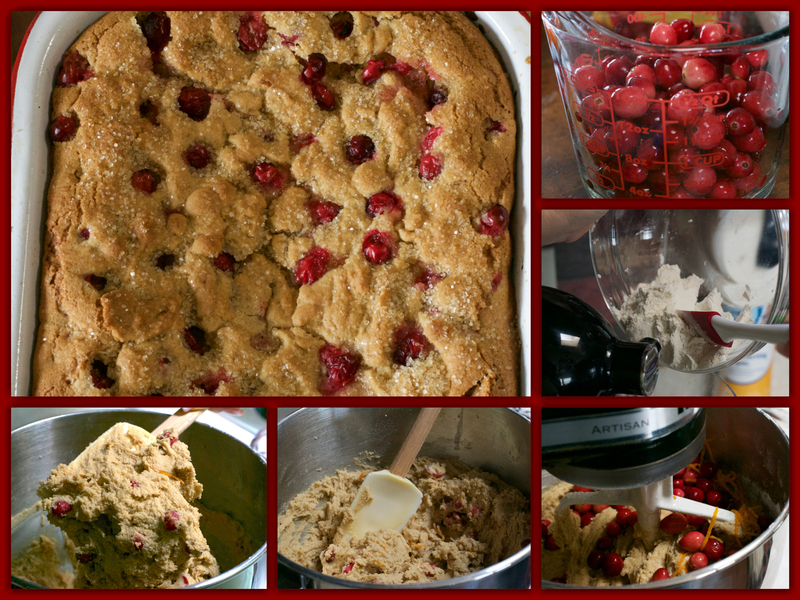 Sprinkle the top with the extra 1/4 cup cranberries and turbinado sugar. Bake at 350 degrees for 23-25 minutes. Let cool completely before cutting into squares. Store in a sealed container. made mine in a smaller pan for a thicker brownie. Adjust baking time if using a smaller pan. Cookies, cookies, cookies, has there ever been a treat so sweet??? 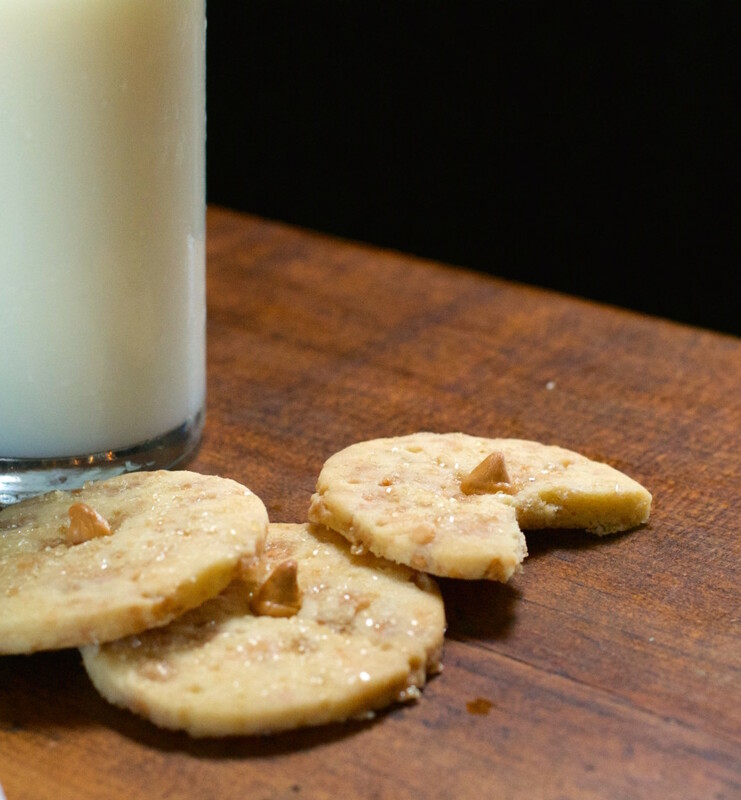 When your sweet tooth acts up, give into the temptation with a Toffee Butterscotch Shortbread Cookie. A classic cookie with a tasty twist. 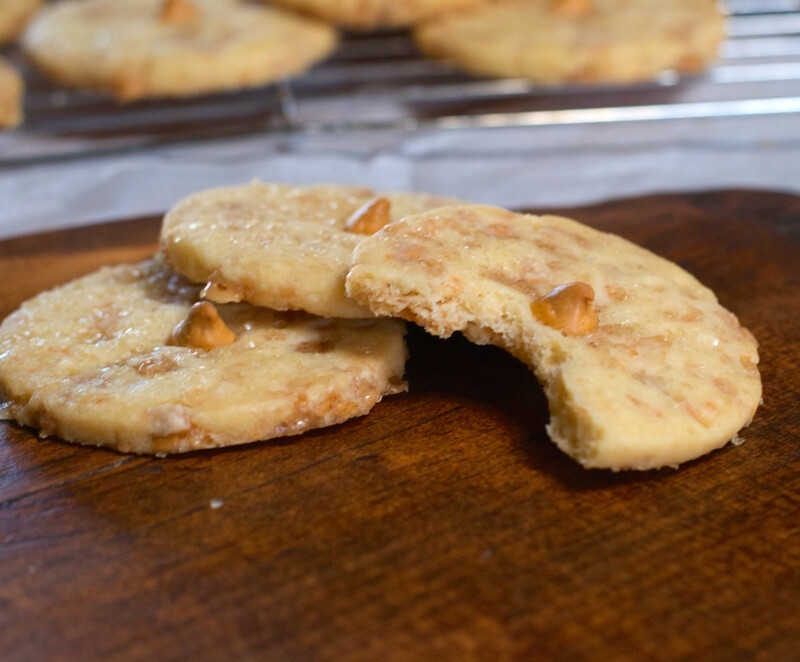 Buttery, golden, sweet and tender shortbread cookies with rich butterscotch chips and buttery toffee bits…….a match made in heaven. 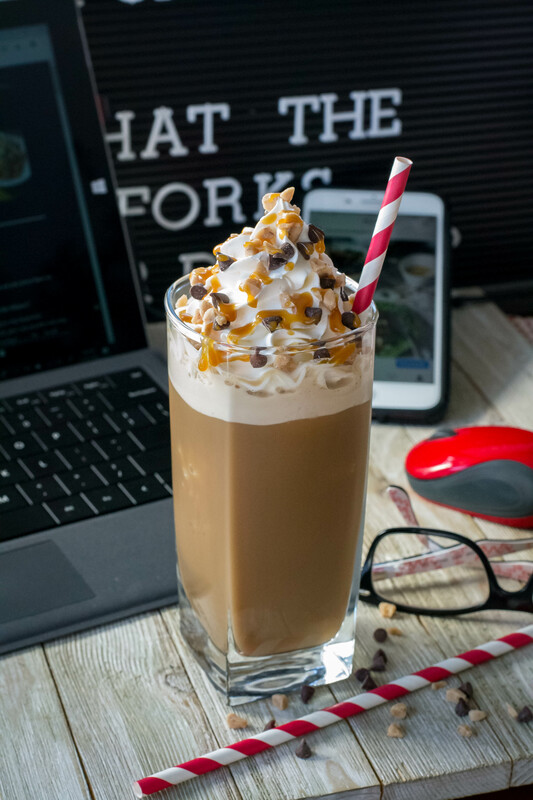 Butterscotch and toffee both have that luscious caramel essence. 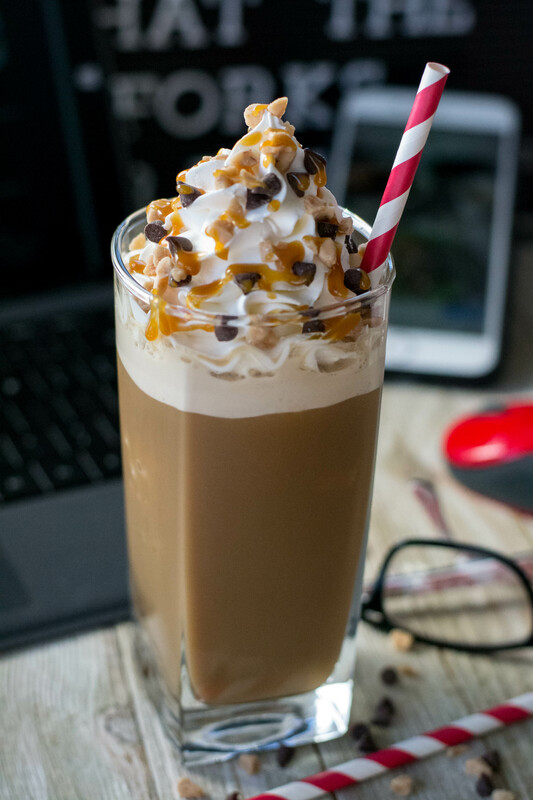 One smooth ( butterscotch), and the other crunchy ( toffee ). Toffee Butterscotch Shortbread Cookies are simple to make and go perfect with a cup of steaming coffee for an afternoon treat. I made these and sent a care package of them to my brother. When I ask him a few days later how they were he said they were awesome! I asked him how my nephew and his girlfriend liked them, and he said …….eh! Which meant more for my brother!!! 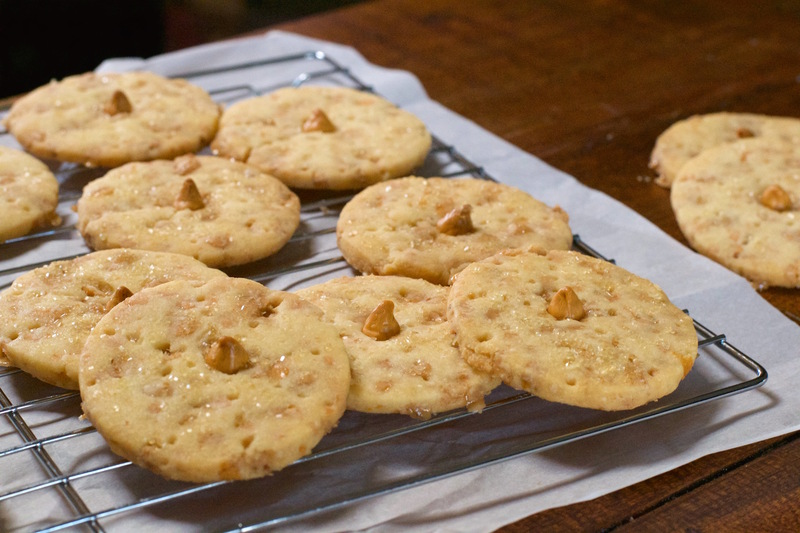 Now, if you are a fan of shortbread cookies, butterscotch, and toffee……..Toffee Butterscotch Cookies are the cookie treat for you!!!! In a large bowl, cream butter and powdered sugar until light and fluffy. Beat in vanilla. Sift flour, cornstarch and salt onto a large bowl; gradually add to creamed mixture and mix well. Fold in butterscotch chips and toffee bits. Place between 2 sheets of parchment paper, pressing flat and refrigerate for about 1 hour. Preheat oven to 350°. On a lightly floured surface, roll out dough to 1/4-in. thickness. Cut with a floured 2-in. round cookie cutter. Place 1 inch apart on baking sheets lined with parchment paper. Bake 10-12 minutes or until lightly browned. Remove to wire racks to cool.